The Elements 70mm roller is an easy to use rolling machine built to handle any single wide rolling paper. This Element rolling machine comes with a step by step instruction guide, so even if it is your first time using a roller, the process is sure to be quick and easy. The frame of the Elements 70mm roller is made from a sturdy acrylic which is proven to be stronger than the plastics that most other rolling machines are made out of. Don't need a full box? 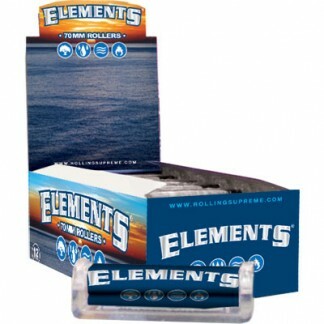 We also have Elements Rollers 70mm Single Packs.